The Shikra is a small-sized raptor often found within cities. I have often seen them feeding on Rock Pigeons and smaller birds found around my house. This one here i think is a Juvenile or Immature Shikra. 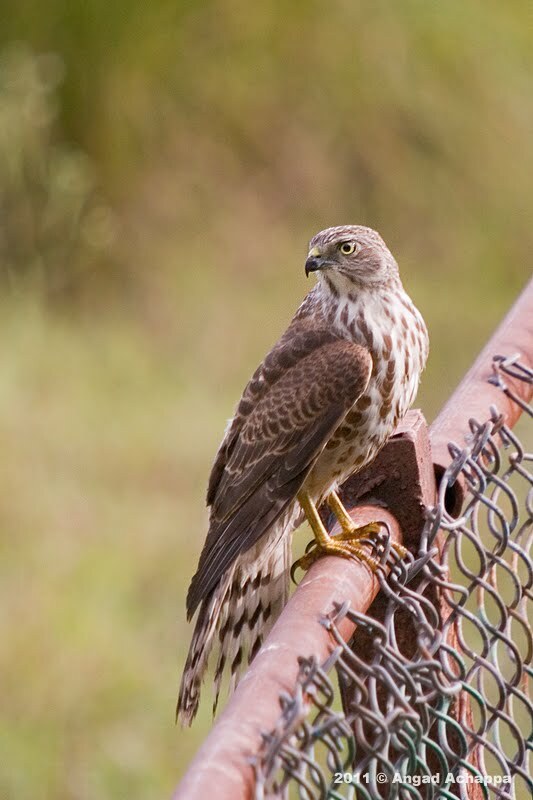 It looks similar to our Coopers Hawks found here where I live in Ohio. the look have been captured really well! Lovely photo! Was trying to identify whether a visitor to our home is this or a kestrel- seems as if it might be the latter.